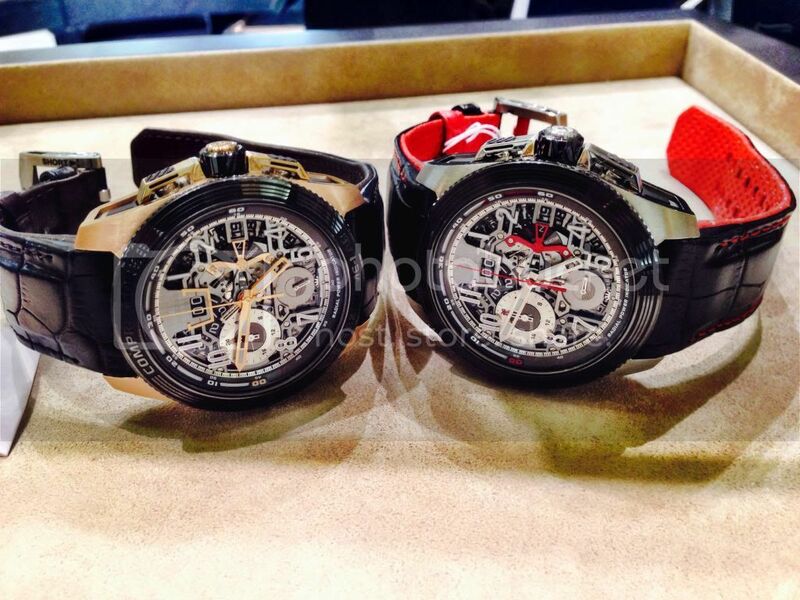 TimeZone : Jaeger-LeCoultre » Ti or RG .. Which Extreme Lab would you pick and why ? I finally came face to face with the JLC grail that I have wanted for a long long time .. and I couldnt stop salivating ! staring .. Dumbstruck !!!! Mr. Martinez at the JLC Boutique in Vegas was wonderful to talk with ... Fantastic experience. I loved them both .. and found it hard to side with one over the other. So, Which one would you rather have ? Titanium or Rosegold ? and Why ? Look forward to your thoughts and suggestions ..